Kath has joined the practice nurse to cover whilst Hollie is on her maternity leave. 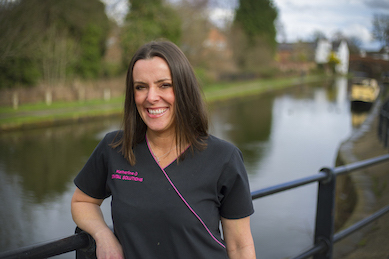 Katherine first worked for Gavin back in 2001 when she qualified as a Dental Nurse at Padgate Dental Practice. She is a highly experienced dental nurse and delighted to be working for Gavin again. Away from work, Kath enjoys going to the gym and walking. She also loves to cook and bake, and when she can escape she loves going to gigs and festivals.